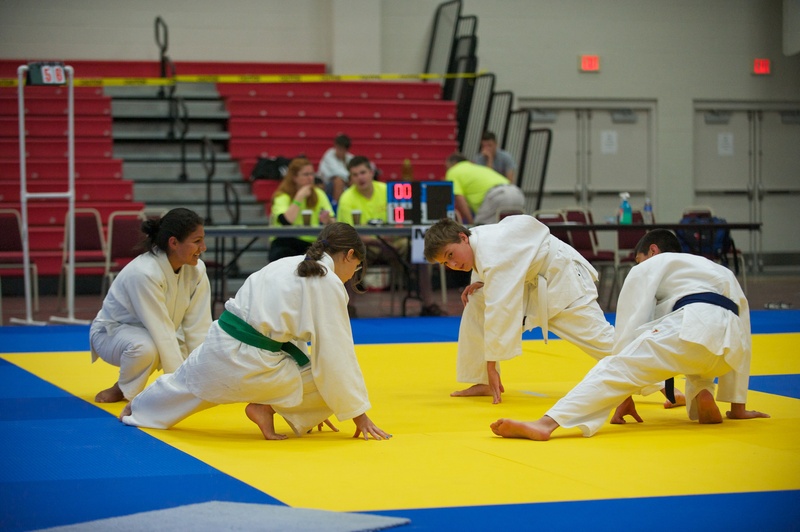 While most families were spending the Fourth of July holiday weekend barbecuing and watching fireworks, 2 groups of EBJI competitors attended national judo tournaments in different areas of the country. Ociane Canadas, Nathan Canadas, Estefany Gonzalez and Nico Gonzalez all traveled to Toledo, Ohio for the United States Judo Federation (USJF) Junior National Championships. This was everyone’s first national tournament. Ociane was the first to compete in the girl’s 15-16 year old 48 kg division. She went 1-3 for the day and took a bronze medal in her division. Nathan, Estefany and Nico fought the second day of the competition. Estefany took 2nd place in her division, after competing up a weight category because she was uncontested in her normal category. Nathan and Nico also fought and earned valuable competition experience for the future. Accompanying the teenagers was Ken Kokka Sensei. “All the kids fought with great effort and spirit. They are excited at the prospect of competing at the Nationals again next year. Overall, it was a great experience for them”. Take a look at the video below created by USJF that shows some highlights of the tournament.